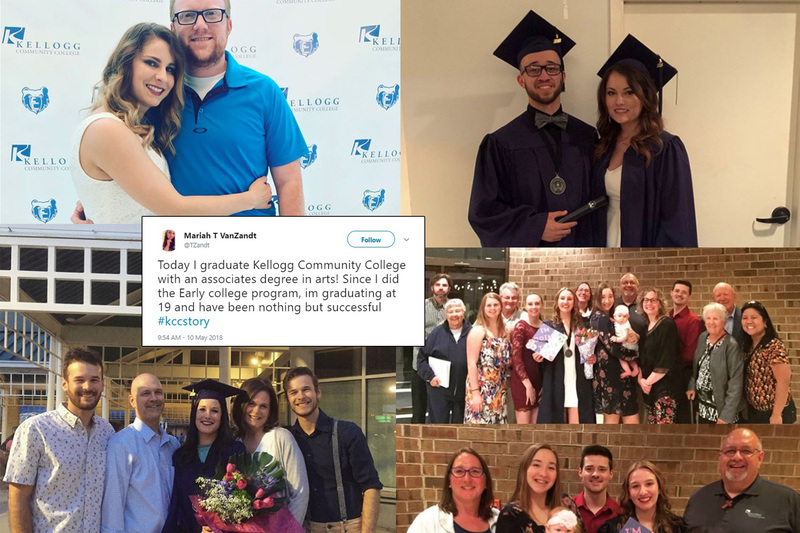 During commencement rehearsal last Thursday, graduates were asked to share their Kellogg Community College memories online with the hashtag #KCCstory for the chance to win a gift card, and many graduates did just that. To view the winning posts, click through the links on each winner’s name or see the posts embedded below. Winners can pick up their prize from the front desk in the administration office in room 301 of the Roll Health and Administration Building on KCC’s campus at 450 North Ave., Battle Creek, anytime during the College’s open hours. Remember the College closes at noon Fridays in May! Thanks to everyone who used the hashtag this past week, and know that just because this contest is over doesn’t mean you can’t share your #KCCstory anytime online. We’d love to hear yours! Kellogg Community College is dedicated to providing accessible, high-quality education to enrich our community and the lives of individual learners. Kellogg Community College, founded in 1956, serves approximately 8,400 students annually via five campuses, customized training and online coursework. The College offers 59 pre-professional transfer curricula; 35 associate degree programs; 28 certificate programs; six categories of professional certifications; and a variety of short-term, non-credit courses. The KCC Daily is maintained by KCC's Digital Marketing Manager Simon Thalmann. Questions about the blog or its contents may be directed to Simon at thalmanns@kellogg.edu. © 2019 KCC Daily. All rights reserved.